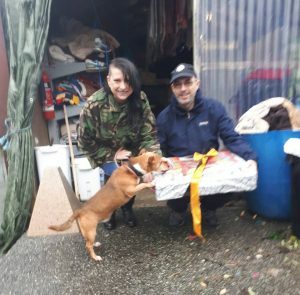 Huge thanks to Chloe the patterdale and her devoted hoomans for their wonderfu l Christmas hamper, stuffed full of doggy delights. Chief checker Chico willingly inspects the goodies on behalf of himself Tetley and Tammy, the lucky recipients of the treats and toys. All your donations are hugely appreciated especially at this time of year.